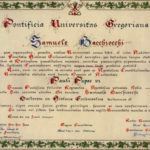 For those of you who don’t know about this yet, there is an ongoing controversy surrounding the credentials of Samuele Bacchiocchi, a prominent Adventist scholar. He got his PhD at the Pontifical Gregorian University in Rome, and was the first non-Catholic to do so. That is where agreement ends between the two parties regarding his achievements there. Today he published the first part of his response to their allegations in his Endtime Issues newsletter number 159, which can be found on his website. “The Apostles therefore resolved to consecrate the first day of the week to the divine worship, and called it the Lord’s day. St. John in the Apocalypse makes mention of the Lord’s day; and the Apostle commands collections to be made on the first day of the week, that is, according to the interpretation of St. Chrysostom, on the Lord’s day. From all this we learn that even then the Lord’s day was kept holy in the Church. . . .
“But the Church of God has thought it well to transfer the celebration and observance of the Sabbath to Sunday. Bacchiocchi quotes this text, but not in its entirety, missing the important sections that would not have left him so surprised. There are no Jesuit spies. That’s anti-Catholic propaganda. Bacchiocchi’s right – he’s not a Jesuit spy. The letter has had the contact details of someone cropped from it. Bacchiocchi mentions Bishop Murray and Barbara Bergami. Searching on Google can find these people. The Catholic Heirarchy website, which lists all bishops, dioceses, etc, has pages for Bishop Murray and the Diocese of Kalamazoo. Bacchiocchi uses the words “imprimatur—approval” a lot. Regarding the meaning – you claim that is means approval by the Catholic Church of the contents of the text. That is simply not correct. In a broader sense, an Imprimatur consists of 3 parts – a Nihil Obstat, an Imprimi Potest, and an Imprimatur (used in a narrower sense, as a third part of the Imprimatur in the broad sense.) What is printed in your book is ONLY the Imprimatur used in the narrower sense – which says nothing about approval of content, but refers only to the permission to print given AFTER the Nihil Obstat and Imprimi Potest are issued. The Nihil Obstat and Imprimi Potest are the declarations of approval, and are followed by the final approval by the bishop – the Imprimatur in the narrow sense. Because you do not have a Nihil Obstat or Imprimi Potest, you should not be claiming approval of the contents, but merely that permission to print was granted. With a Nihil Obstat and Imprimi Potest, the Imprimatur does signify final approval of the bishop. But without them, it’s the equivalent of permission to print a telephone directory, but it is simply never issued in that way. You get Nihil Obstats on their own, but not Imprimaturs. Also important to note is that IF (and it is clearly NOT) your Imprimatur were used in the broader sense of the word, it would still not mean approval by either the Vatican or the Catholic Church – but ONLY the bishop issuing the Imprimatur. Such texts can, and do, contain error. They never constitute official approval by the Church. First, the Imprimatur obtained was merely permission to print, not approval of content; and second, it was done as a favour and certainly never implied approval of the contents by the Vatican or the Church. It seems rather unbelievable that the Catholic Church would give approval to a book that was not thought to be in agreement with Catholic teaching. Granting it as a favour organised by your mentors explains that. But few people with insight into the matter would believe that any real approval was given. You may claim I do not understand what an Imprimatur is, as you did 2 years ago, but I assure you that you are mistaken. This is easily verified by a detailed look at what the three steps are about. The middle signature reads “Herve Carrier.” He was rector of Gregorian University at the time Bacchiocchi graduated. Googling them brings up nothing I can find significant … perhaps readers of other languages can locate them online. If they amounted to anything. But the booklet he scanned must be in public record somewhere. Therefore it can be verified far more easily than waiting for Gregorian to respond. This is another document that should be easily verifiable. At least relatively so … one would need access to somewhere that kept such things. The Catholic Church agrees with Bacchiocchi on what the Bible says. He would probably have felt a lot more comfortable had he understood what Catholicism teaches. On this we agree. I find the extra evidence quite interesting, and quite compelling. Of course, a lot of it needs to be verified. But he has provided documentation that should be verifiable without Gregorian providing it from their archives of student records. I await Bacchiocchi’s follow-up. He’s off to Australia now, and when he gets back, there should be more. I hope to see his explanation of a) the imprimatur, b) the continued use of the imprimatur on an edition for which it was not obtained, c) the use of the name of Gregorian University Press on newer editions in a way that looks official, and d) evidence of the initial publication by them. On this evidence alone, however, I think it’s a very good time for Gregorian University to either recant or to provide their own documentation. Their argument is strong. But now Bacchiocchi’s argument is also strong – nearly as strong. If the images Bacchiocchi has scanned in and put on his website can be verified, they will certainly need to provide an explanation to back up their claims, if that is their intent. If his images cannot be verified, it’s still a case of his word against theirs. But on both sides, the words are strong. 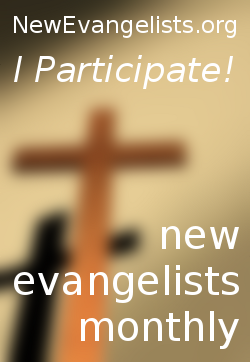 Comments welcome and wanted on this development. Yes, the documentation that Dr. Bacchiocchi has provided is very compelling. If the Gregorian can back up their public statements, they had better do so, or else, as you said, publicly recant. As for the imprimatur question, I eagerly await Dr. Bacchiocchi’s response to that, because so far everything we know agrees with what the Gregorian has said about the imprimatur and the publication of his dissertation. If, you are a doctor, MD?, as you say, then stick to what you went to school for and stop trying to play professor of theology. Your lenthy post sounds like you don’t have a life, i.e. you have nothing better to do than sit on the computer all day. What kind of a doctor is that? I suppose he’s a professional pontificator. If not, perhaps he should stop trying to dictate other people’s interests.